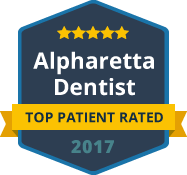 For the best dental care in Alpharetta, Georgia, you can trust the dentist and staff at Crabapple Dental. We are a full service dental practice located in downtown Crabapple and we provide top quality preventative, general, restorative, and cosmetic dental care for the residents of Alpharetta and the surrounding areas. Our dental practice is comprised of an experienced dentist, Dr. Sarah Roberts, and a committed staff of dental hygienists, dental assistants, and patient coordinators. Our team will give you a warm welcome and an ongoing commitment to your dental health. At Crabapple Dental, our passion is creating the smile you were meant to have – one that is attractive, confident and beautiful! We are proud to serve patients in our community. Through continuing education and state-of-the-art equipment, we offer you and your family the highest level of care delivered in a warm and caring atmosphere. You can trust our professionals to meet all your dental care needs. Crabapple Dental is the dental practice that you can trust for the highest quality family dental care in Milton. Our goal is to personally and professionally care for the unique needs of every member in your family. We provide comfortable, attentive, and state-of-the-art dental care for patients of all ages. One of the greatest benefits of family dental care is that your dentist can watch the oral health of everyone in the family. If mom and dad are prone to certain conditions there is a great possibility that their children will also be susceptible to those same conditions. A dentist who cares for the oral health of an entire family can benefit everyone. 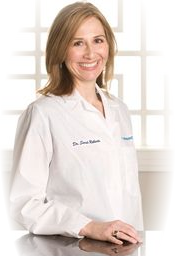 Dr. Sarah Roberts leads the practice of Crabapple Dental. If you are looking for a skilled yet gentle dentist in Alpharetta, our caring dental team is here for your family. We specialize in treating patients of all ages. At Crabapple Dental we offer Cosmetic Dentistry, Invisalign Braces, Preventive Dentistry, Sedation Dentistry, and many other specialized areas. We are dedicated to providing a peaceful dental experience no matter what your dental care needs are. We understand that a healthy and beautiful smile can have a huge impact on your entire life, and we are the dental care practice to trust to achieve an attractive, confident, beautiful smile. You can trust your dental and oral needs to Crabapple Dental. If you live in the Milton or the Alpharetta area and are looking for a dental practice that you can count on to provide dental care for you and your entire family, contact us today. At Crabapple Dental, our success is measured by your satisfaction and we guarantee satisfaction on all of our work. Like us on Facebook You will receive professional dental advice and special discounts on treatments! The whole family loves Crabapple Dental. They have the latest technology and offer options for the best care. So happy we made the switch! Jeff R.
I've been going to Dr. Roberts for a couple of years now (after a long period of not going to any dentist), and she has helped to bring my quickly developing periodontal disease under control. The staff is always professional and friendly there and they constantly use the most up to date technology. Great dentist! Aaron A.
Dr Roberts and her staff always go the extra mile for their clients. I can't say it's ever really fun to go to the dentist, but she's outstanding and really cares about helping you have a heathy mouth, not just pretty teeth. Jeremy R.
Dr. Sarah Roberts and her team (all of them) have given me the best experience I have had with a dental office. I have moved around a bit and out of the 4 offices I have gone to in the last 15 years, this is by far the best. I highly recommend. Ryan D.
Dr. Roberts and her staff are amazing! The office is beautiful, not what you expect from a dentist's office but more what you would expect from a spa and that is how you are treated while you are there! Everyone on Dr. Robert's staff is kind, friendly and caring! On top of all of this you receive top notch dental care! Dr. Roberts is not your grandmother's dentist! She's probably unlike any dentist you have ever been to. I am so thankful to have found Crabapple Dental! It is always a pleasure to go to my appointment! I never thought I would say that about a dental appointment! Thank you Dr. Roberts and Team!!! You are the best!! Amy R.
My entire adult life I've avoided dentists as best I could. 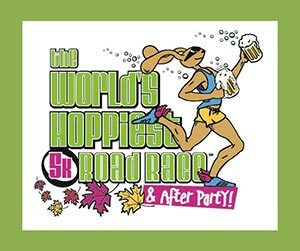 Would only go if I absolutely had to go. Went to Crabapple Dental for the first time this week. This is the best dental experience I've ever had. Dr Roberts and her staff are amazing. Regular trips to the dentist will be no issue for me now that I've found them. Very happy patient. Matt H.
I love going to Crabapple Dental! Everyone is always friendly and professional, I have never had to wait and they take their time with me. I have never been to a dentist that cares so much about my teeth. I still have a baby tooth and they are doing all they can to make it stay in as long as possible. Every other dentist I have gone to did not care about my baby tooth or give me any options to protect it. Thank you Crabapple Dental for always providing a great experience! Lindsey P.
We have been patients at Crabapple Dental for 6 years!!! We loved our previous dentists in Dawsonville but when we moved back, we needed to find someone in the Milton area. Most people know I am VERY thorough whether it be researching a dentist, contractor or planning a vacation. Dr. Sarah Roberts and her practice ticked all the boxes for me and my family. State of the art facilities with the most comprehensive care available in the area IMO! Her office is bright, modern and comfortable. From her front receptionist Heather to her employees and hygienists...they are all friendly, professional and supportive and have been with her for many years which says a lot regarding job satisfaction. Dr. Roberts is very knowledgeable and I love how meticulous she is regarding her work. She has done a great deal of work replacing my old metal fillings and doing restorations with crowns when needed. She has personally followed up by calling me after big procedures to see how I am doing and honestly cares about her patients. Dental care is not cheap but I love knowing that when I see her, she is going to make sure things are done properly the first time around! I am extremely happy with all the care she has provided our family and LOVE to recommend her to others!!! Kathy F.
Her team is very hard working and so is she. They put in a lot of effort to make sure the patients' visits are a good one. I love going myself!! 😉 Chloe R.
I have been a patient of Dr. Roberts since she started her practice and wouldn't think of going anywhere else. From the moment you meet Heather at the front desk you immediately feel at ease. You can always tell a lot about an office by the first person you meet at the door. I have always been nervous going to the dentist but I actually feel relaxed. My dental hygienist is Debbie and she is friendly and explains everything she is doing. As for Dr. Roberts, I feel totally confident being in her care and respect her advice that she gives me regarding my teeth. Marianne G.
I was so relaxed while getting two cavities filled by Dr. Roberts that I wanted to fall asleep! Dr. Roberts is not only extremely sensitive to the well-being of her patients during every dental procedure but she is very meticulous in all of her work, as well. I would recommend everyone to her. Her work is absolutely beautiful! Thank you, Dr. Roberts! Karen K.
I would highly recommend Dr. Roberts and her staff to anyone in the area. I had tried a couple of local Dentist near my home but was not completely satisfied. I have been very impressed by Dr. Roberts and the entire staff at Crabapple Dental. Everyone is friendly, attentive, caring, and professional. The office is so clean and inviting. Kim C.
I was extremely fortunate to have found Crabapple Dental. I have had years of dental anxiety and have procrastinated dental care due that. Dr. Roberts is a wonderful Dentist that took her time explaining every aspect of my treatment. Her assistant, Shannon was also great at keeping me calm and making sure I was doing alright and felt comfortable before, during, and after the procedure. I did not even need pre medication for anxiety. The whole office staff was friendly and inviting. I can not say enough good things about my experience. I look forward my future dental care here. Michelle T.
I moved to Georgia a few years ago and was not looking forward to finding a new dentist. I noticed Crabapple Dentist on my way to work and stopped in to inquire about an appointment. Right away I noticed the facility was very clean and the staff was very friendly and inviting. My first appointment was great and I have continued my dental care with Dr Roberts ever since. I have been very impressed with Dr. Roberts knowledge and professional friendly manner. I have also been very pleased with quality of work by Dr. Roberts and the entire dental care staff, they are definitely top notch! I give Crabapple Dental 5 Stars and would highly recommend Dr. Roberts and Crabapple Dental. Jeannie S.
Dr. Roberts and her staff are all top-notch professionals. They are all pleasant and make a person feel at ease. All equipment is up to date as is their knowledge and skills. Cleanliness is a top priority for them also. Barbara D.
A visit to Crabapple Dental is always met by a friendly staff that exhibits professional and courteous service. Having been a patient there for several years, my experience with the quality of treatment has always been top-notch. It seems Dr. Sarah Roberts keeps up with the latest developments in dental care. She cares for her patients. Anytime someone asks me for a great dentist in the area, Crabapple Dental is where I send them. Larry S.
I am terrified of dentists and have been since I was a child. Recently, I had an excruciating toothache and had to get help---procrastination was not an option. I conducted extensive research and repeatedly Dr. Roberts name came up as an awarding winning dentist. So I took a chance and showed up at her office unannounced and in extreme pain. Heather welcomed me at the door with a smile and from there, Shannon and Dr. Roberts managed to melt my phobia through gentle assurance and support. In short, they built my trust by not being condescending about my extreme dental phobia. Together we came up with a proactive plan that included having my dental work done under sedation. Sure it costs a little extra but it allowed the good doctor and her talented team to help me, and I don’t remember much of anything which is fine by me! As for me, I now call Dr. Roberts my “favorite dentist” because she earned my trust and that title. I highly recommend her and her attentive staff! 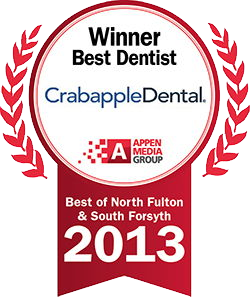 Five Stars to Dr. Sarah Roberts and the Team at Crabapple Dental! 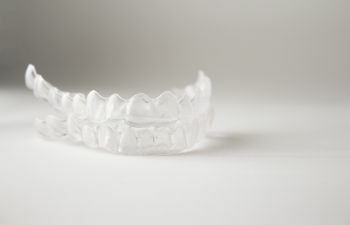 I’ve been going to Crabapple Dental for two years and am extremely pleased with all dental services performed (Invisalign Braces, Crown work, Preventative Care) . Dr. Roberts provides excellent and quality dental care. The entire Crabapple Team - Heather, Shannon, Kelly and Debbie are incredibly efficient and personable. I highly recommend Dr. Sarah Roberts and Crabapple Dental. Lesley J. After relocating to this area I dreaded finding a new dentist. I tried one that wasn't a great fit and was searching again when a friend recommended Dr. Roberts at Crabapple Dental. Although I have anxiety when working with my teeth, everyone at the office was professional and understanding of my fears and put me at ease. I would highly recommend this office! Rachel P.
Dr. Sarah Roberts has been my dentist for nine years and she has made my experience great every time! trace m.
Crabapple Dental definitely gets 5 stars!!! Dr. Sarah Roberts is the BEST dentist ever and Shannon is the best hygienist ever!! Everyone there really cares and makes you feel special!! Thank you Dr. Roberts!! Lisa J.
Dr Roberts and her talented team have literally put the smile back on my face and restored my faith... Adam F.
Dr Roberts is a perfectionist who takes pride in her work. The office is clean and contemporary with LCD TVs mounted on the ceiling over each dental chair. This practice prides itself on having the latest/best technology in dental care (digital xrays & patient records, pay my balance via an iPad at the checkout counter, etc.) Friendly staff and convenient location with ample parking. Crabapple Dental has been my choice for several years and will remain so for many years to come. Matthew Q. 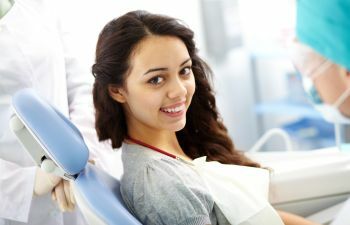 If you are looking for a dentist who will develop a treatment plan with short-term and long-term goals, who looks at the “big picture,” who always provides top-of-the-line treatment with the best equipment and technology, and who truly cares about her patients and the work she does, you have found her! I initially visited Dr. Roberts for a chipped tooth nearly a decade ago, and never sought another dentist. Beyond the comfortable, clean, and relaxing atmosphere at Crabapple Dental is a team of experts who truly care about their patients. From the moment you walk in the door, you can feel at ease that your smile is in the hands of the best-of-the-best. Heather always greets you by name with a smile and is happy to answer any questions you have regarding treatment cost and insurance. Kelly, my hygienist, is truly an expert in her field. She has extensive experience in both pediatric and adult dental hygiene. On top of that, she is friendly, caring, and always happy to answer your questions. Shannon, Dr. Roberts’s Dental Assistant is amazing at what she does. She and Dr. Roberts are truly a perfect team, expecting nothing short of perfection from their work. I have suffered for years with the pain and annoyance of temporomandibular joint disorder (TMD). Dr. Roberts (An LVI Fellow) and Shannon have extensive training in Neuromuscular Dentistry through LVI, and have developed a treatment plan that I trust will lead to a healthier, happier, and long lasting (PAIN FREE) smile. I could not more highly recommend Dr. Roberts and Crabapple Dental!